After a triumphant return in 2016, the Drum Corps International Tour is set to march through Florida in 2017. The two-event series will bring performing ensembles into the central and southern parts of the Sunshine State. Kicking off with a brand new event, DCI Orlando presented by Lone Star Percussion, drum corps will return to a familiar stadium on Saturday, July 8, that’s played host to the DCI World Championships on four separate occasions. 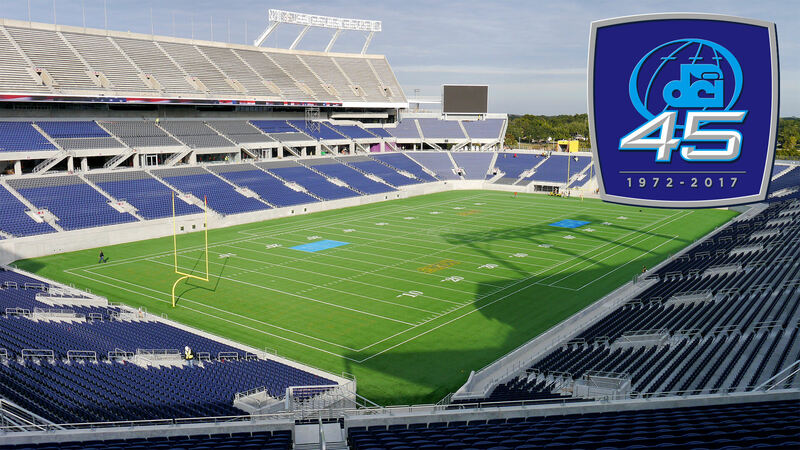 Since DCI’s last event at the Florida Citrus Bowl in 2014, the venue has undergone a complete renovation and rename to Camping World Stadium. As part of the 2014 stadium overhaul, the entire lower section seating was demolished to make way for 41,000 new “lower bowl” seats that added chair backs and additional legroom. An AstroTurf playing surface along with new video boards, concourses, concessions, and restrooms, were also part of the $200 million renovation. “For those who haven’t been back to the Citrus Bowl since our last DCI Tour events here, they’ll likely be very happy with the latest set of updates and modifications that have been made to the venue with the spectator experience in mind,” said DCI Senior Director of Events, Susan Kuehnhold. Scheduled to perform in Orlando will be the Boston Crusaders, Cadets, Carolina Crown, Cavaliers, Colts, Jersey Surf and Spirit of Atlanta, in addition to Florida’s own Open Class drum corps, Heat Wave. The two Midwestern representatives, Colts and Cavaliers, will be making their first appearances in Florida since 2010 and 2012 respectively. “Adding to the festivities around the Orlando event will be a SoundSport showcase featuring a number of different performing teams, along with a Kick Start educational workshop for students to help get Saturday night’s show underway,” said DCI Director of Business Development, John DeNovi. Corps will travel 135 miles over the next two days to Jupiter, Florida, site of the DCI South Florida event on Monday, July 10. Among the lineup competing at Jupiter Community High School Stadium will be the Boston Crusaders, Cadets, Cavaliers, Colts, Jersey Surf and Spirit of Atlanta. Tickets for the DCI Orlando and DCI South Florida events are expected to go on sale through Ticketmaster and the DCI Box Office respectively on Monday, January 30.